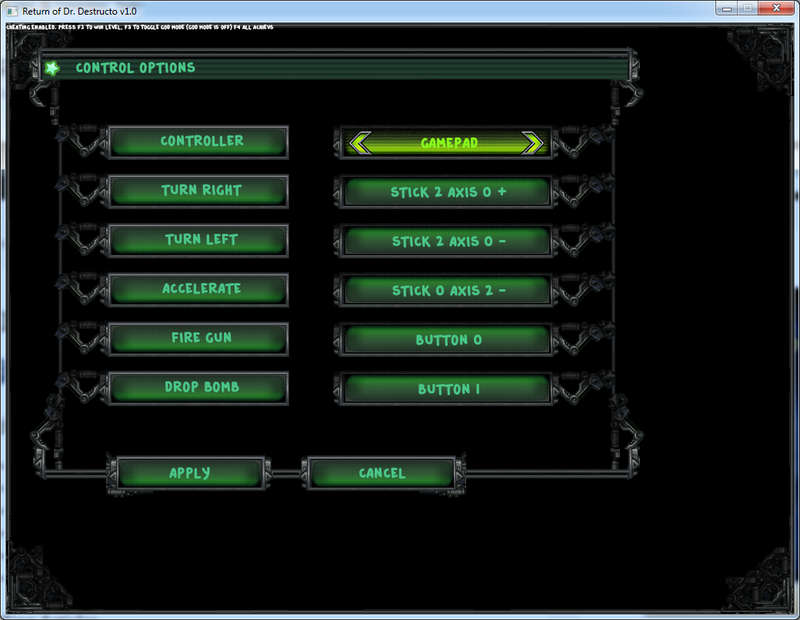 An in-game screenshot of controls menu. I’m going on a vacation during the next week, so there will be no updates for a little while, and no work will be done on Return of Dr. Destructo. But never fear: I still hope to release PC version of the game before New Year.